Nguyen's document was recorded on March 27 and showed gifts totaling $575. This gifts came from the following entities AT&T, Spease Bees, Regional Transporation (Sacramento), and Pappas Investment. Hume, who currently serves as Vice Mayor, filed his report on March 23 and reported gifts totaling $876.05. Four of the five gifts were meals during the 2018 annual Cap to Cap lobbying trip to Washington DC. The four, all of which were meals gifts, came from Hefner, Stark, and Marois, Kaiser Permanente, Sutter Health, and Teichert, Inc., with a total value of $626.05. The fifth item on Hume's report was from Asian Resources, Inc., for their annual Chinese New Year dinner and was valued at $250. 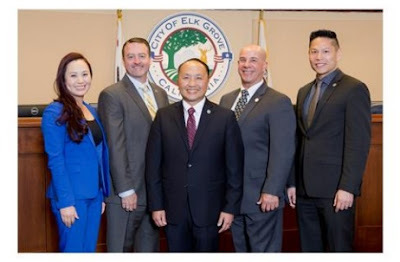 Mayor Steve Ly filed his report on April 1 and showed gifts totaling $2,308.33 during 2018. Ly's gifts are reported as below by sources, amount, and type of gift. Council members Steve Detrick and Darren Suen filed their report in early March and can be view here.